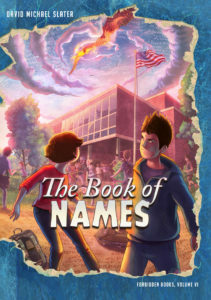 A book with power over who lives and dies—and two kids caught in the middle of an all-out war for it. Dexter and Daphna Wax have seen more things in Heaven and Earth than they thought possible in their wildest dreams—or nightmares. Between them, they’ve been hypnotized by a man as old as time, kidnapped by a depressed billionaire, shot by a remorseless assassin, and stalked by a plague-ridden vampire. They’ve lost their parents, their home, and even their good names battling disasters that never seem to end. 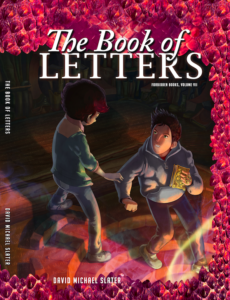 All they want to do is start high school—to start living their lives again—but now the sky seems to be cracking open, the planet is overheating, and people are losing their minds. Secret but powerful groups have decided the time has come to seize the prizes they’ve long sought, and they all want the twins dead—at least temporarily. 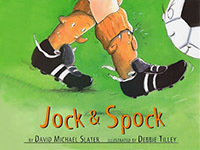 Jock and Spock, a pair of sock brothers, were never more than a foot apart. That is, until the day Jock was thrown into the wrong wash, bleached, and tossed out! This is the story of the socks’ hilarious struggle to reunite. You’ll never look in your sock drawer in the same way again. A whimsical story about a pair of orange sock brothers…With Slater’s text providing many opportunities for sound effects in the storytelling and Tilley’s large cartoons perfectly capturing the nuances of the character’s expressions, this book makes a good choice for storytimes on feelings and dealing with separation anxiety. …The story is sweet and earnest about topics like separation and caring, and at the same time both the text and the illustrations are full of clever little jokes and details that older kids and adults will love to catch. Kids and their adults will enjoy this story of brother, rather, sock-erly love. [The sock brother’s] fierce loyalty and clever problem solving finally lead to a satisfying conclusion. When the end of the world is coming—and it’s all your fault. To save themselves and all they love, Dexter and Daphna Wax have repeatedly done the impossible, dodging all manner of death and destruction. But now it seems they’ve caused a rupture between the worlds, unleashing an evil beyond human comprehension. 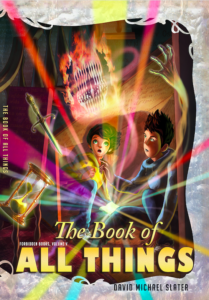 So to face this final confrontation, the twins must become something more than human, and they must find the most sought-after treasure in the history of the world—the Holy Grail. Before all hell breaks loose. What if you could hold all of time and space in the palm of your hand? The deadly creature arrives on black winds, and its bite has unleashed a plague capable of killing every man, woman, and child in the world. The government believes that Dexter and Daphna Wax have the information they need to stop the disease from spreading, but the twins have learned to trust no one. They are running for their lives, searching for answers on their own. Their quest will uncover secrets about the monster, but also about themselves—secrets an even more powerful organization is willing to sacrifice anything, and anyone, to bury. A map to all corners of the world, and—if they’re right—the next. A year later, what happened in the caves at Eden’s edge still haunts Dexter and Daphna’s nightmares: falling through the darkness, the stench, the flapping wings—that maniacal laughter. Back in Portland, they’ve built a new life with their new mother, but now, the night before they were officially to open a new chapter in their lives, they learn the awful truth: When they came back from those dreadful caves, something came with them—something older than time and capable of unleashing a devastating plague. Once again, the twins are on the run, not only from the terrifying creature, but also from the authorities who think Dex and Daphna have answers—and from other powerful interests who want to know what secrets they possess. 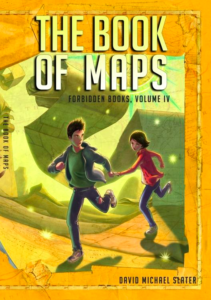 Their newest secret, a book of miraculous maps, is their best hope of survival. If they can solve its mysteries, it might lead them beyond their nightmares—and perhaps even beyond their wildest dreams.